Performatura Festival 2015, the first performance literature festival in the country, was held at the Cultural Center of the Philippines from November 6 to 8, 2015. 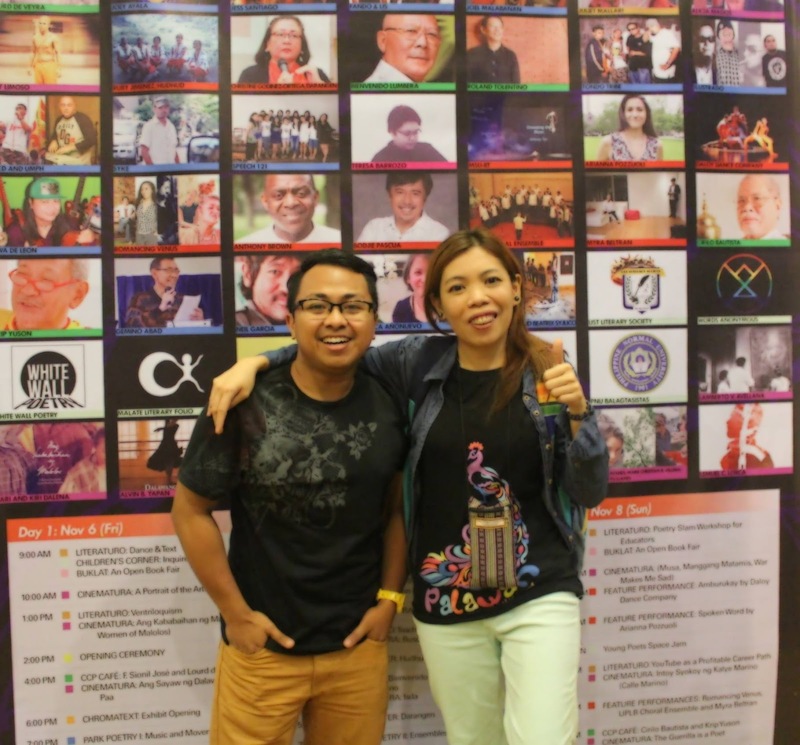 Several artists gathered during the said festival to share their talents to the public. The three-day festival was composed of various segments, such as Literaturo (Workshops on Performance), Cinematura (A Look at the Relationship Between Literature and Film), CCP Café (Interview with National Artists for Literature), Featured Performances, and Park Poetry, among others. There were also exhibits and a book fair happening simultaneously. 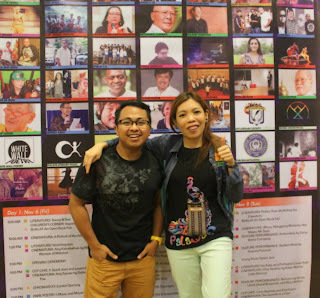 I was able to attend the third day of the festival together with my friend, Mars. Admission was free, but one must donate a book for the festival’s book drive. Since I wasn’t able to register online and just walked in, I bought a Php 20 book from the open book fair beside the registration (thank God there was an on-going sale, otherwise, I would have to donate my Kikomachine Komix 10, which I haven’t read yet!). The first show I watched was Featured Performances from Romancing Venus, UPLB Choral Ensemble, and Myrna Beltran at 2pm at Teatrong Huseng Batute. I particularly love UPLB Choral’s performance that I would like to be part of a choral group again. At 4pm, Mars arrived and we bumped into Sir Vim Nadera, the festival director, who brought us to Young Poets Space Jam where spoken word artists performed their pieces. Then, we went to CCP Café, where prolific writer Krip Yuson interviewed National Artist for Literature Cirilo F. Bautista. 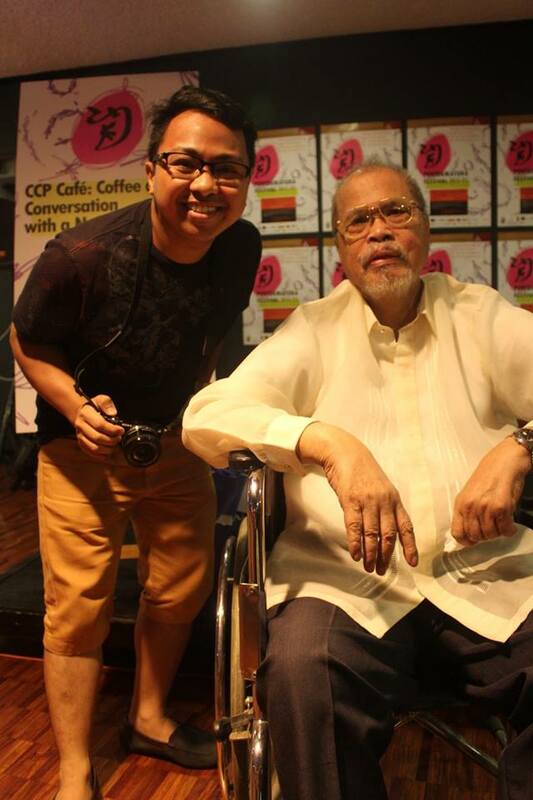 According to Cirilo Bautista, creative writing starts with creative thinking. When asked why there are more national artists coming from UST compared to other schools, he gave the funny response – because UST has a God (and others don’t!) There's overflowing coffee and pan de sal during the program, courtesy of Sev's Cafe and Kamuning Bakery, respectively. 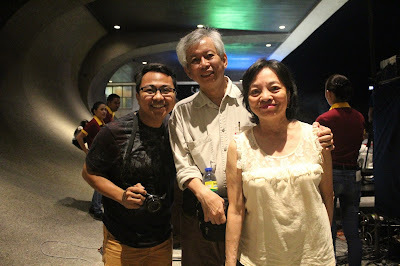 We had our dinner at Dencio’s Harbour Square after the session with Cirilo Bautista and returned to CCP at 7pm to catch Park Poetry. Guest poets delivered their poems. 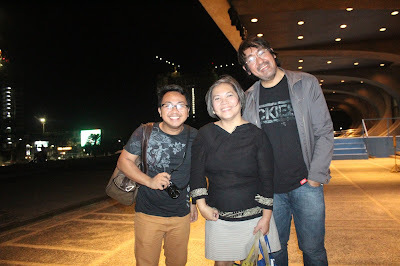 Among these were Krip Yuson, Gemino Abad, Neil Garcia, Becky Anonuevo, Dina Ramos, and my favorite poet – Pete Lacaba! 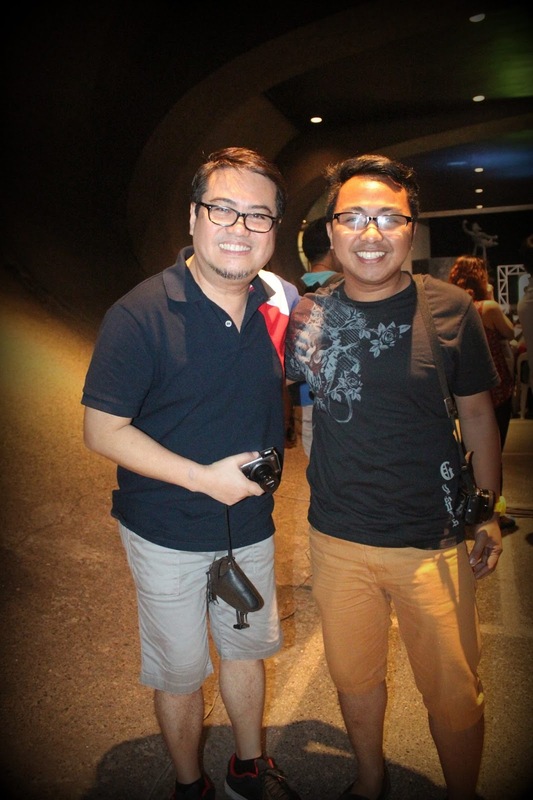 Of course, I took the opportunity to have a picture with Pete Lacaba! Mars and I visited the exhibits afterwards, before deciding to go home. I am looking forward to the next Performatura. I just hope that it would be promoted better so that more people could attend. God willing, I’ll be performing next time!